Chair ‘Theology and Culture’ by the Edward Schillebeeckx Foundation. Location: Nijmegen, Faculty of Theology, Radboud University Nijmegen. On september 23 1999 the board of the Catholic University of Nijmegen (the current Radboud University Nijmegen) authorised the Edward Schillebeeckx Foundation to establish a chair ‘theology and culture’ at the Faculty of Theology. The former chairman of the Edward Schillebeeckx Foundation, prof. dr. A.J. 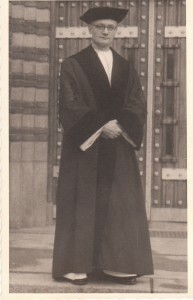 Plasschaert, and the former dean of the Faculty of Theology, prof. dr. J.A. Van der Ven, announced that as of october 1 2000 the prominent theologian Robert J. Schreiter would be the professor ‘Theology and Culture’ at the Catholic University of Nijmegen. De professor ‘Theology and Culture’ aims especially at education and research in the theology of Edward Schillebeeckx on doctoral and post-doctoral level. 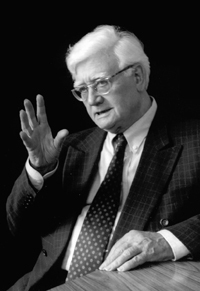 The main theme in the theology of Edward Schillebeeckx is connecting the christian heritage with culture. This mainly comprises educating doctoral students and Phd students, participating in the research program of the faculty, and supervising Phd students. The professor contributes significantly to the scientific knowledge and quality of the Faculty of Theology. Further, the professor ‘Theology and Culture’ promotes the chair within and outside the Radboud University Nijmegen, for instance by lecturing to those interested from the praxis. 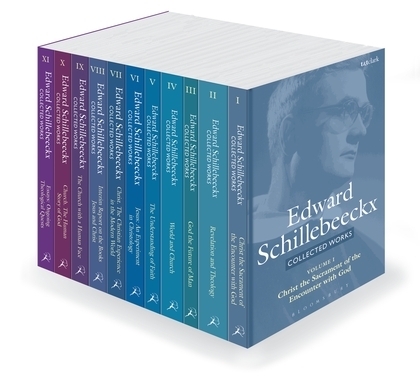 – promoting the chair by making the theology of Edward Schillebeeckx accesible for a large public.